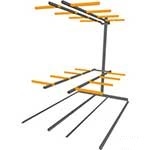 Suitable for the storage of long length items up to 6m tall where quick and easy access is required. Workplace storage can sometimes be quite difficult to get right, particularly in warehouses, manufacturing companies and shops. When there are long items to be stored it can make the task even harder. 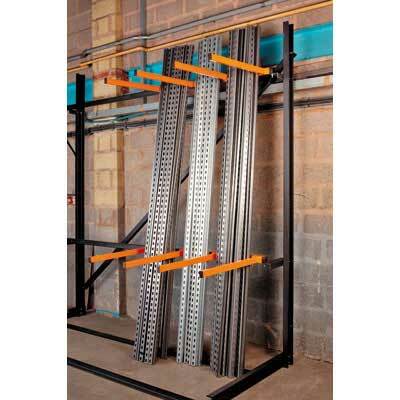 However, the use of the vertical storage rack double sided extension bay is designed to simplify the entire process. 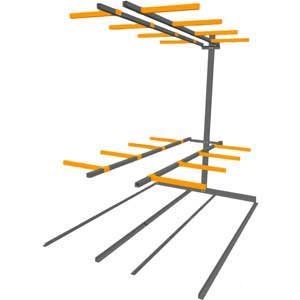 Tall items, such as pieces of timber, pipes, steel and plastic lengths can be awkward to store. These units range in height from 2,000mm to 5,000mm, so are easily able to deal with a variety of materials in a wide range of lengths. The design of the unit ensures that items can be easily accessed at any time. There are both single and double sided racking units available and they come as a starter bay or an extension unit for an existing bay. 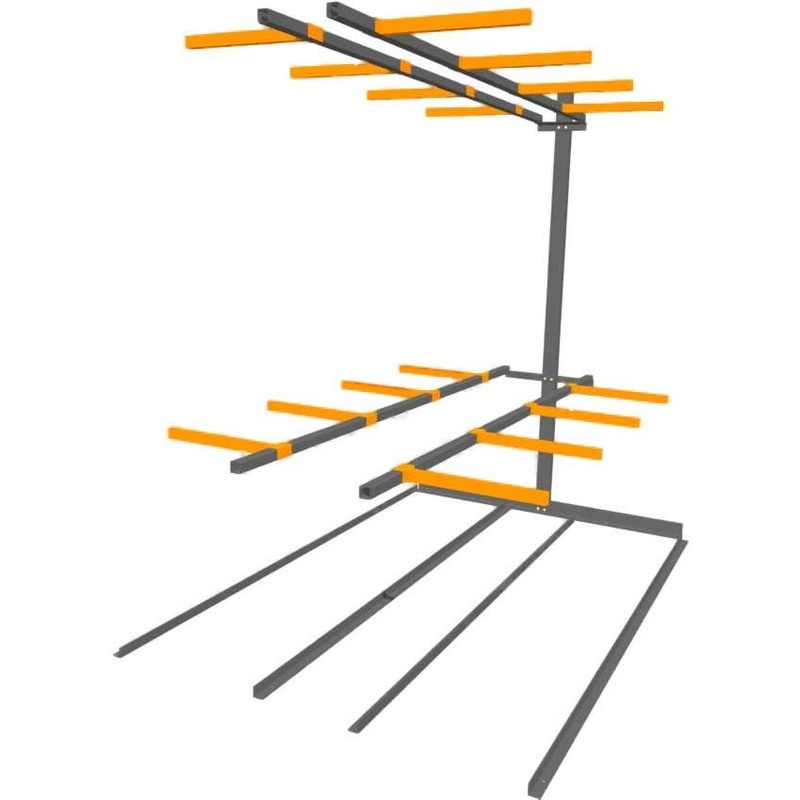 In addition to the racking, the customer is also supplied with 16 adjustable arms; eight for each side and more can be purchased if needed. A full design and installation service is available for customers who prefer to have a professional team carry out the entire process.